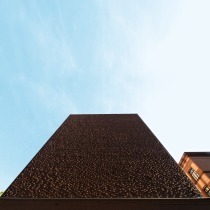 On a 50-m² footprint and with a limited budget, the architectural duo Vaibhav Dimri and Madhav Raman has created spatially efficient and cost-effective office space. 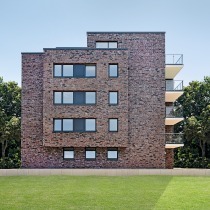 The otherwise minimalist outer skin of the building has been given an extravagant brick façade on the longer sidewall. 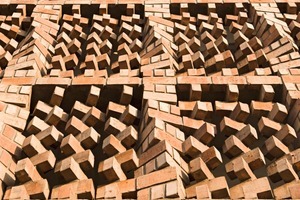 Inspired by traditional architecture, a single repeating brick module with an optically complex pattern was configured. 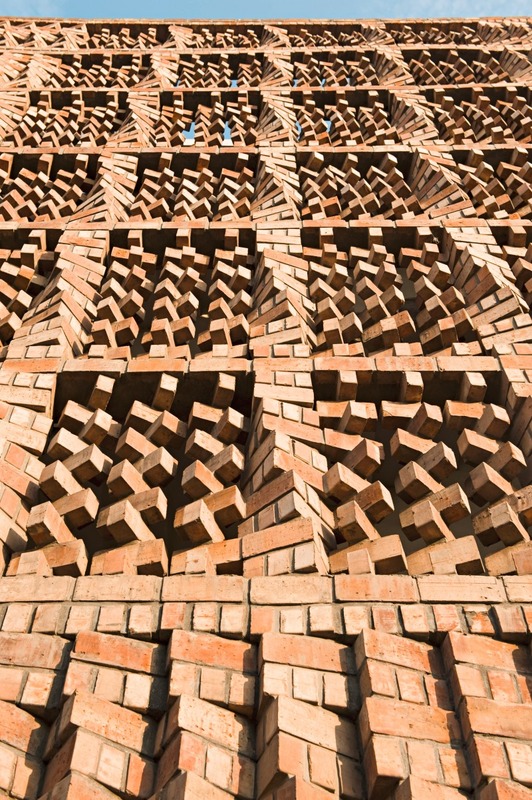 This was created in the style of a splendidly carved jalis (brise soleil), a long-standing tradition in Indian architecture. 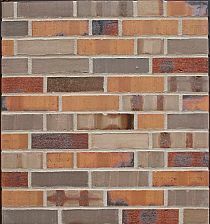 Facing bricks measuring 230 x 115 x 75 mm (the standard brick size in India) were used to achieve this. 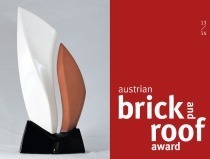 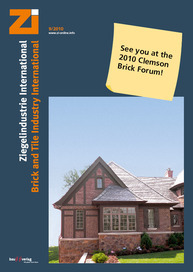 The project won second place in the Wienerberger Brick Award 2010.